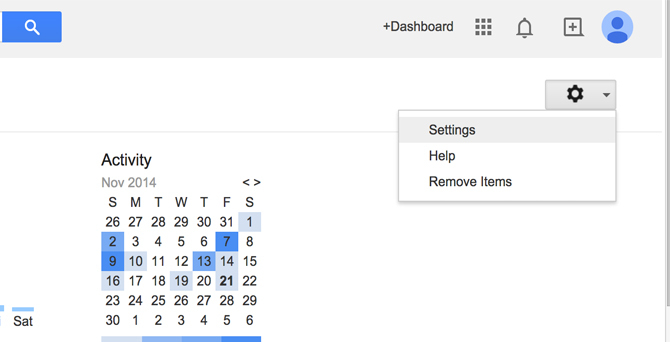 What is Google Dashboard ? In short, is the place where every internet user with a Google Account can manage the personal data that Google Inc. collects about them. It summarises data for every Google Product and how you (and your data) interacts with them. Every time a user is logged in to any of Google’s products, Google starts collecting information about this user behaviour in the internet. This means that Google collects information about your Chrome browsing history, bookmarks, etc. It collects information about your email conversations, chats, etc. 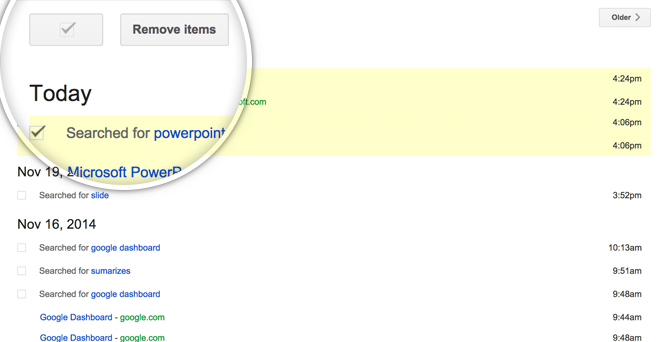 Also, your Google Analytics actions and Web Master Tools behaviour. And the most important for Google, all your search activity. Google knows exactly what and when you search in the web. With all this information being collected, it was reasonable Google created a mechanism for users to review and manage it. Google Dashboard is a central entry point for configuring privacy settings of all your Google products, and the user can also clear or purge all this data from the products history. Google guarantees that that data will no longer be available. This is the real beauty of Google’s commitment with your information. They know you are the owner of that information, and they grant you administrative privilege over it. Lets follow a simple walkthrough on how to view the data Google is collecting for our account and how to configure our privacy settings over it. Lets start with the login. Just navigate to https://www.google.com/dashboard. You will be prompted to login with your Google Account. 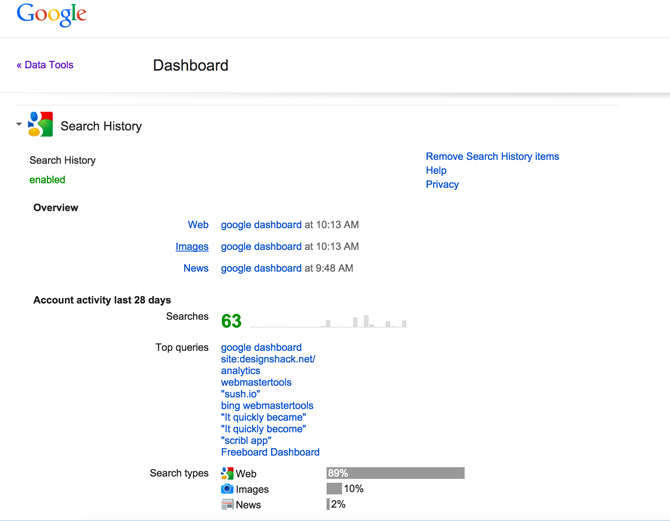 After Log In you will see the dashboard front page, with a list of all the Google applications available for your user. The list starts with the Google Account , and then the most common applications will be Gmail, Google Search, Google Docs, Google+, etc. In the Google search application section, Google presents a dashboard overview, showing the status of the application, an overview of the latest data collected, and the activity for the last month. Here “Top Queries” and “Search Types” are the Data Points shown .This dashboard sections shows information relevant to the specific Google Application. 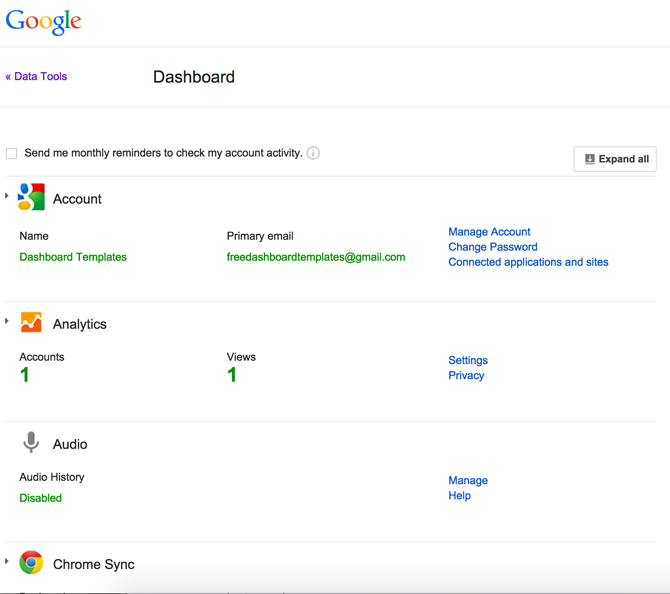 If you navigate the Google Dashboard, you will notice the extensive information Google collects for your account, for each application. Lets have a look into the details of search history. 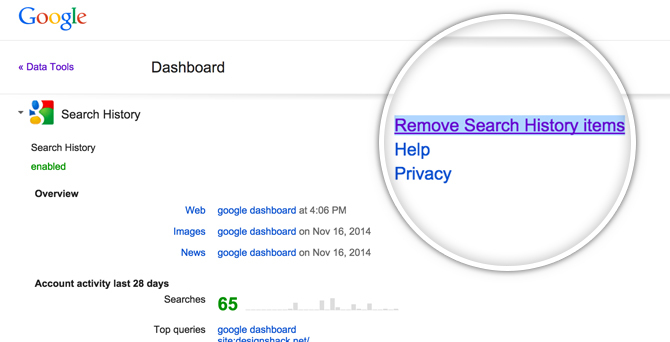 For this, we navigate into the Search History Dashboard, by clicking at the “Remove Search History Items” link. Yes, is not a happy link name, but the following page does not disappoints. After navigating you will see the Search History Dashboard. A complete summary of your search activity and of course the search terms Google has been collecting for your account. At the left of the dashboard there are links to filter the kind of assets of the search (web, images, videos, etc) but at the All Search level, Google present a very good dashboard summarising your activity of search and search pages over time. Hourly Search Activity: How many searches are being done (or just collected) for this account, segmented by hour. 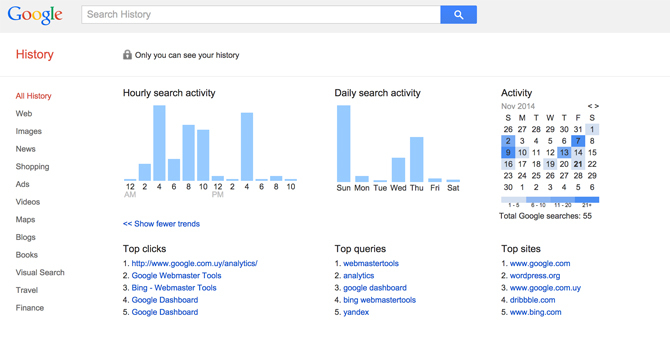 Daily Search Activity: How many searches are done by day. Activity: A Calendar Heatmap where the activity is shown in each day with colors reference. Top Clicks: Which are the google results most clicked at the search results page. Top queries: Which are the top 5 queries this user has been searching for. Top Sites: Which are the top 5 sites this users visits. All this information is amazingly presented in the Google Dashboard, simple, clear and visually appealing. If the user wants to delete this information, it just needs to check each of the search terms recorded in the list below the dashboard and delete them. The application of the removed will not be immediate in the summarising results. This is because google processes asynchronously this request. Just checking the terms you want to delete, and clicking the “Remove Items” will do the job. The link will take you to the general settings Google Account page, directly to the configuration of the status of Google Search. You will se a button with the label “Pause” (if your google search recording is activated) or “Enable” (if you have previously disabled the recording feature). Click “Pause” and your information will stop being collected. 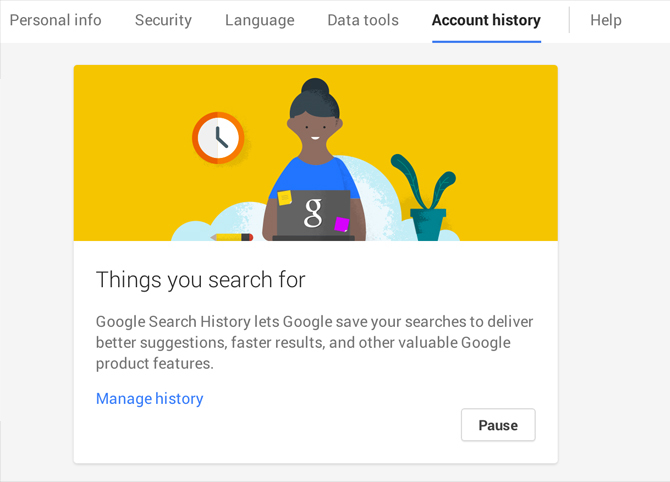 Pausing Google Search History can have some side effects on your search experience, as Google wont be able to tack your behaviour and customize the search experience for you the next time you use Google Search. We have presented the Google Dashboard main features, the list of available products, the main widgets of the dashboard and dived into one of the most relevant Google Applications Data through the Search History Dashboard. Explore Google Dashboard and dive into your internet data, though Google Applications specific Dashboard.